At Five Brothers Insurance, we know how important it is for homeowners to have flood insurance. That’s why we are happy to provide any Tampa Bay area family or business owner with a flood insurance quote on their residential or commercial property. Standard homeowners insurance and commercial property insurance policies don’t cover floods, so if you aren’t protected with a sound flood insurance policy, you could suffer a total loss of your investment when a big storm or flash flood hits your area. 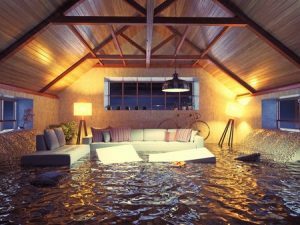 Unfortunately, many home and business owners aren’t aware that their current commercial or homeowners insurance policies do not cover them in the event of a catastrophic flood and find themselves ill-prepared when disaster hits. What about Federal Disaster Relief? It’s also a mistake to rely on Federal disaster relief in the event a flood destroys your home or office. First and foremost, disaster relief is only available when the President has formally declared the weather event a disaster. Secondly, Federal disaster relief is not the relief it claims to be. While it is true that funds may be made available to help you repair your home or commercial property, it is not a “freebie”. It is a loan that must be paid back – with interest. Family owned and operated, Five Brothers Insurance will provide you the personalized attention you deserve, and as an independent agency, we are able to offer you a broader range of policies from the world’s most trusted insurance companies. If you live or work in South Tampa, New Port Richey, Bradenton, Clearwater, Oldsmar or the surrounding areas, contact us today to receive your free flood insurance quote!